Damen has delivered a road ferry to a client in the Gambia more than a month ahead of schedule. 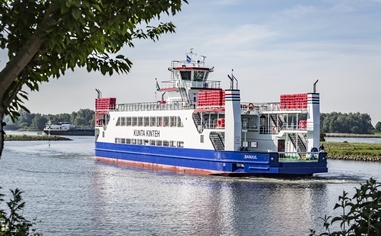 The ferry was built entirely in the Netherlands to a very tight deadline, with the hull constructed in just 70 days at Damen’s subsidiary Niron Staal in Amsterdam. Engineering, purchase, outfitting and project management was carried out by Damen Shipyards Hardinxveld. Operating from Banjul, the Gambian capital, to Barra, across the mouth of the Gambia River estuary, the passenger and vehicle ferry is designed with a very flexible layout where it can be reconfigured from passenger and vehicle transportation to passenger only – with a maximum of 2,000 persons. This function makes it ideal to facilitate passenger transport during local celebration days. 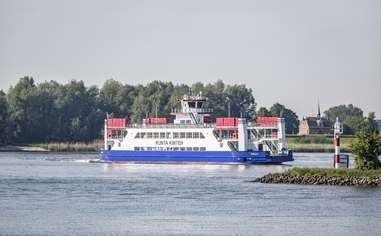 The ferry was transported via a heavy lift vessel from the Netherlands and arrived safely over a month ahead of schedule, enabling the client to commence operations before the end of Ramadan and in time for associated festivities.